They are demonstrating that in a very philanthropic way. 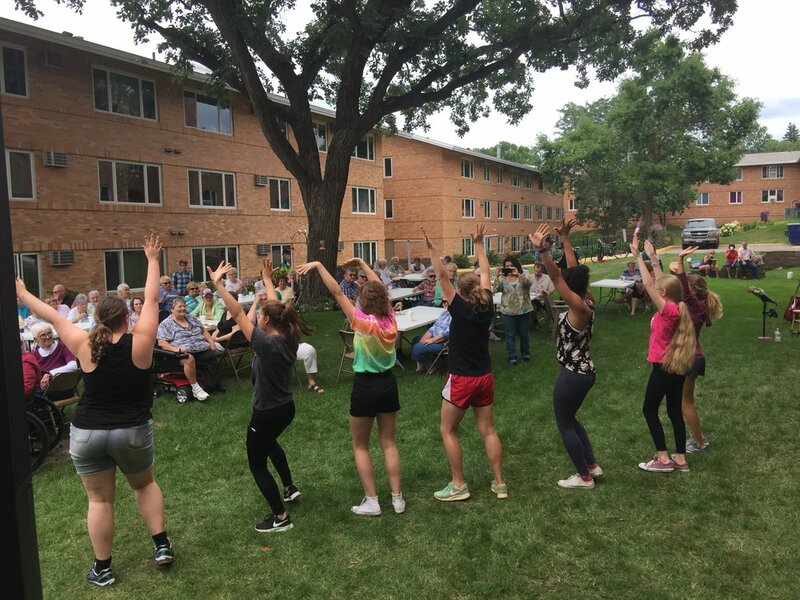 Here’s how: imagine a youth theatre in the middle of a run of a summertime show. Sleepy Hollow Theatre & Arts Park in Bismarck, ND was in the run of their Biblical rock opera, Joseph and the Amazing Technicolor Dream Coat when the unthinkable happened. Vandals broke into the theatre on a Sunday and spray-painted floors, doors, mirrors, costumes, wigs, props, makeup. They went on to break light bulbs and windows, leaving shards of glass all over the floors, countertops, and embedded in costumes. All the while they took videos of themselves doing this damage and posted them on social media. There was $1,000 of damage for the show, but the organization is now raising $10,000 for the extra damage to the building. When the 57 energetic youth in our current show Singin’ In The Rain heard about what Sleepy Hollow endured, out came their dollars of support. I’m so pleased to report that a check for $500 has made its way to the theatre as a show of support. But that’s not all the group is doing this summer to assist others. They tackled two additional projects that demonstrate what is in their hearts. 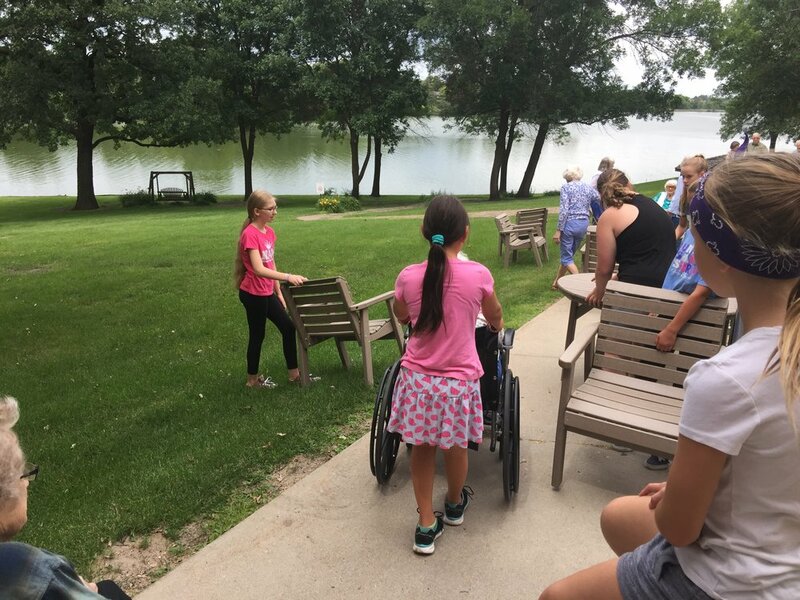 The first was helping Bethany Home residents enjoy their annual Ice Cream Social by escorting residents, serving up pie and ice cream and beverages, and by entertaining. The next project has been to find out what the food shelf needs for their shoppers. The youth learned it was toiletries and toilet paper. They are in the process of collecting/delivering things like toothbrushes and toothpaste, hand soap, deodorant, laundry soap, etc. We are so proud of these young people, and you should be too! 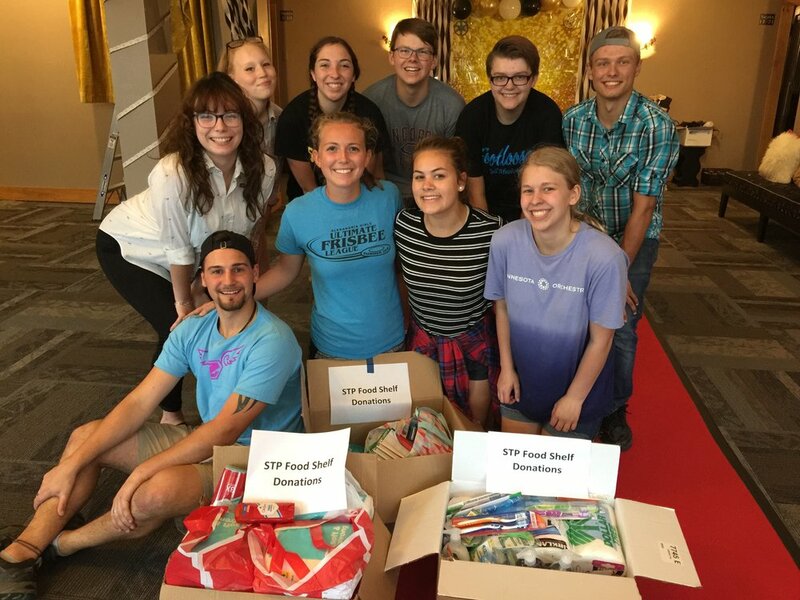 The final philanthropic project is really the capstone of the work these students have done during their summer theater camp experience. They will entertain the patrons who attend their show, Singin’ In The Rain. It goes up August 2-4 and 9-11 at 7:00 p.m. at Andria Theatre. Collectively the youth have volunteered approximately 6,552 hours to bring you this fantastic show. You can best support this extraordinary group of young people for their summer of generosity and giving of themselves by coming out to see their show. Order tickets online, call the box office at 320-762-8300, or stop in M-F 11:00 to 5:00. There will be no tsk-tsking allowed. You'll be tapping your toes and wanting it to be raining so you can sing and dance all the way to home!